This Crafting Life: I'm so Lucky- The Sugar &; Spice Vox Box is Mine! I am so excited to share with the world that I am an Influenster! It's a great program in which real people write reviews and give their opinions, share coupons and great deals and test new products. I recently got to take part in their VoxBox program, which sent me an awesome orange box that they have named the Sugar n' Spice VoxBox. I was so excited to see this box arrive on my porch that I almost forgot to take a picture of it!!! When I opened it up, I found an amazing array of products that I've never tried before and I'm so excited to share them with you today and to give you my opinions on all of them!! 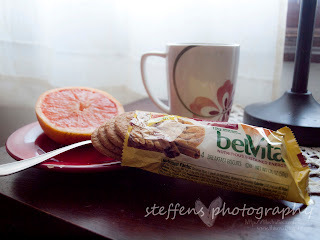 The first thing I tried out of my VoxBox was the Belvita Breakfast Biscuits. I was super excited when i saw they were in my favorite breakfast flavor, Brown Sugar Cinnamon. I had them first thing the next morning with my morning coffee. I thought they were excellent. 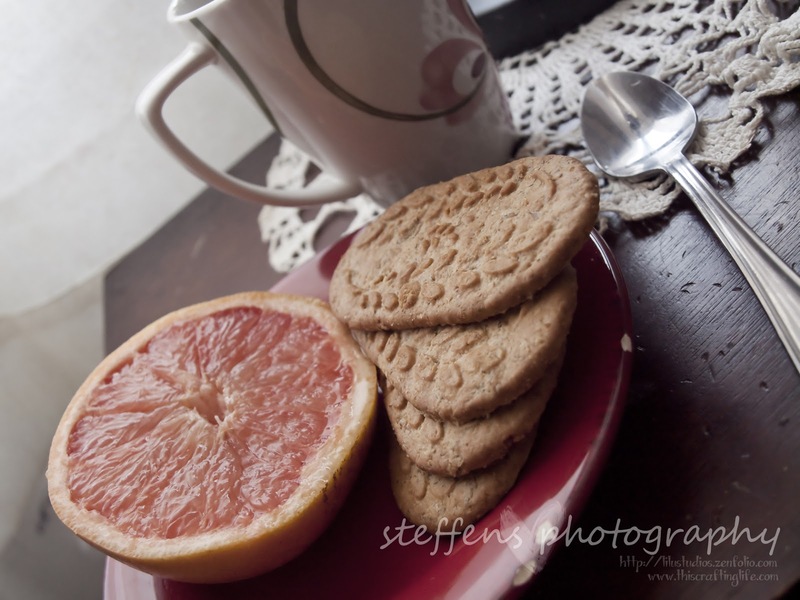 I paired them with a ruby red grapefruit, and the whole combo was divine! Belvita is lucky that i took my pictures BEFORE I tasted them, or they wouldn't have been in any picture at all!! 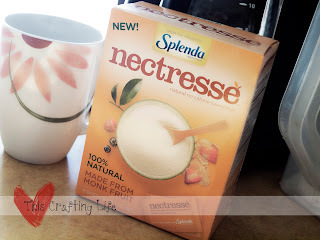 I almost forgot to mention that my coffee this morning also featured a product from the Sugar n' Spice VoxBox, the Nectresse Sweetener! I normally don't like sweeteners, such as Sweet n' Low, Equal, or other equal varieties, and the reason for that is because they have this weird aftertaste that is almost too sweet for me. I would just rather use sugar. Nectresse is made from Monk Fruit, instead of from the Cane or Beet sugar varieties that we are used to. I loved the fact that it didn't have the overly sweet aftertaste and felt that it was a good exchange for my normal sugar in my coffee. The next thing that i tried out of my VoxBox was the Vaseline Spray and Go lotion. I wasn't sure why the application of lotion had to change, and wasn't sure how well this sort of lotion would work. The first time I tried it, I felt it was pointless. 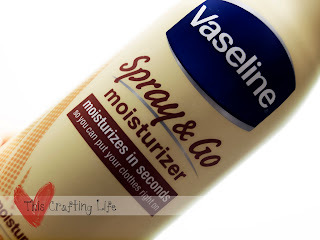 I was trying to hold up a pant leg and spray my leg and then spread it and it wasn't much easier for me at all. I sat around thinking about the merit of this lotion and realized that it was better for a large range application. If you just need to apply lotion to your hands, this isn't the lotion for you. I tried the lotion again, this time after a shower, before clothing. I found I was able to cover my whole body in a very short period of time and wasn't left feeling greasy at all. I feel like this lotion is a great summer time lotion, meant for the season of bikinis or also very handy after a shower. I don't spend very much time in bikinis or scantily clad, so this lotion probably won't remain in my house as a permanent fixture. 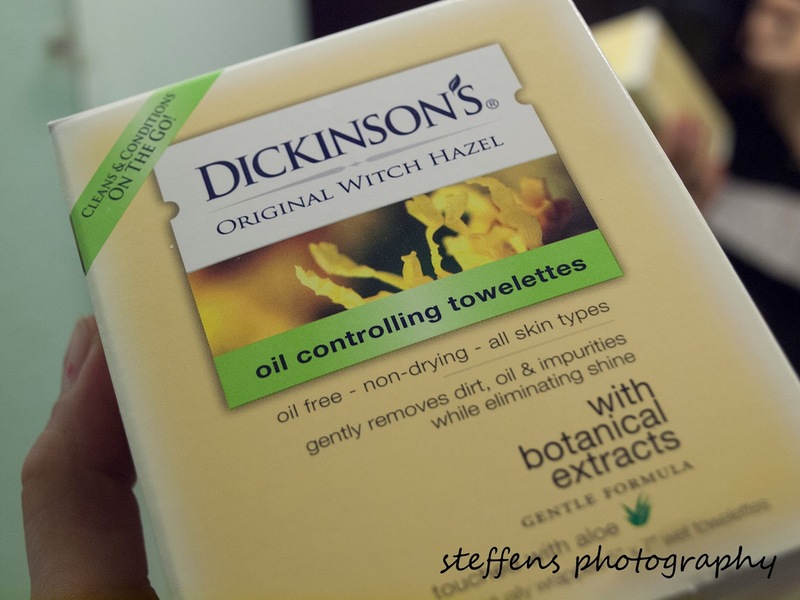 The next thing that I tried out of my VoxBox were the Dickinson's Oil Controlling Towelettes. I sampled one just to see what it would feel like and what sort of application they would have in my life. What I discovered was a simply blissful moment in which my face felt clean and glowing. As always, I thought about what part of my life these would fit into, and if they would have their own defining place and I saw it almost immediately. These awesome little towels made their way into my Bicycle bag, for a refreshing blast from heat and sweat during the summer. Now, if the weather would just warm up, I know I would be using these every day! 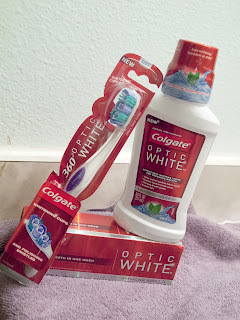 Overall, I loved my Sugar n' Spice VoxBox and there are several items that I received that i would love to purchase again, and really only one item that i wouldn't. I would like to give a big thanks to Influenster for giving me the opportunity to try these items and for giving them to me free for reviewing purposes!